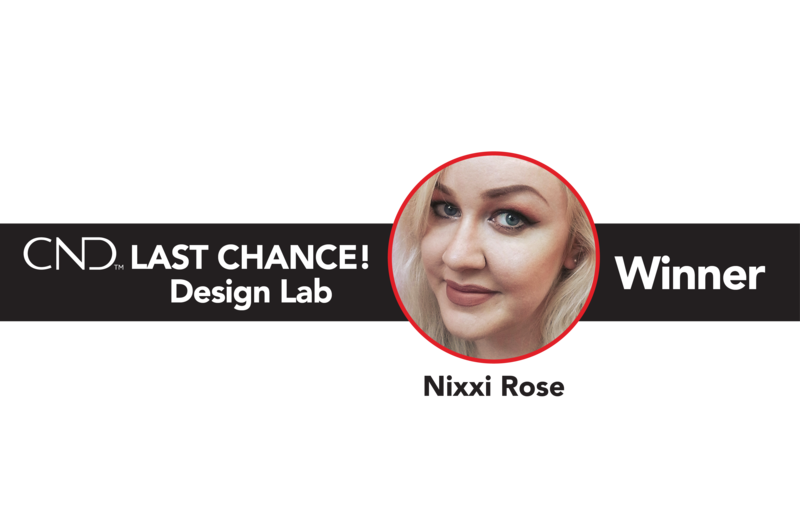 For Season 6’s final Last Chance Design Lab challenge sponsored by CND, Kelsey Waldo and Nixxi Rose will battle it out one-on-one to see who has a chance of staying in the competition. CND’s Jan Arnold will select her favorite look Friday and you’ll find out who will be in the final Top 3. Since Nixxi packed her paintbrushes after Wildflowers’ Another Dimension challenge, this week’s Last Chance is loosely related. Pop Art: Pop-up nail art (3-D) explaining why you should go to the finals. This NAILS Next Top Nail Artist journey has been such a blessing and it’s an honor to compete alongside such incredible nail artists. In my audition video, I discussed my character of always being humble, kind, and having integrity. This piece demonstrates these characteristics. I stayed with my Asian aesthetic and tried to show my growth in line work, cohesiveness, and color coordination. Bamboo is the symbol of virtue and reflects the soul and emotions. 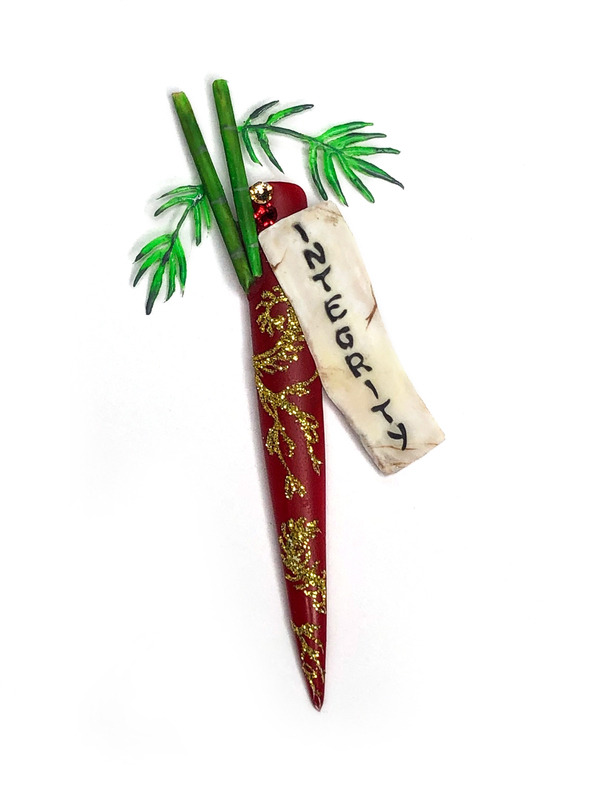 I thought this tied in perfectly with my integrity scroll. Integrity is being honest and doing what is right even when it is not in your favor. So, unfortunately, I do not feel that it is my year or that my statistics are close to that of the other incredibly talented girls. I have thought long and hard about this after reading the prompt of “why should you go to finals?” and analyzing the challenge wins and overall statistics of this season. Although I can see growth, I am not up to the level of a finalist. I cannot potentially take an opportunity away from someone who has truly earned it with the most challenge wins of the competition. I do not feel that I have earned a spot in the finale, at least not this year. For this Last Chance Design Lab challenge, we were asked to create a nail tip based on why we deserve to be in the final. My proudest achievement in this competition is my four weekly challenge wins — more than any other contestant. For my nail tip, I wanted to amalgamate elements from my four wins into one image loosely based on the 3-D “pop-up” challenge of last week’s Wildflowers challenge. I chose the transparent sea, coral, and plastic waste from LeChats Perception vs. Reality challenge, the northern lights from EzFlow’s World of Wonders challenge, the frog, checkerboard effect, and mushrooms from Kupa’s Triptych Fix challenge, and the volcano from Gel II’s Creative Eruption challenge. 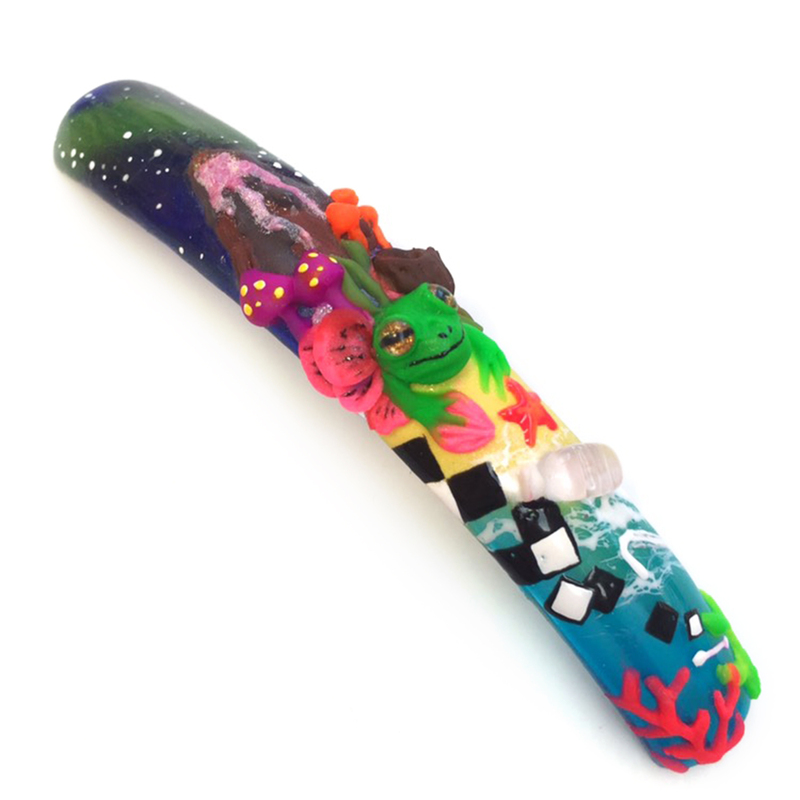 Congratulations to Nixxi Rose for winning the final CND Last Chance Design Lab challenge! Nixxi went up against Kelsey Waldo to show us a 3-D pop up design explaining why she should go to the finals. CND’s Jan Arnold chose the winner. This means Nixxi is officially in the finals along with Ashton and Carly. The Top 3 will move on to the final challenge, sponsored by CND, ending at Premiere Orlando!